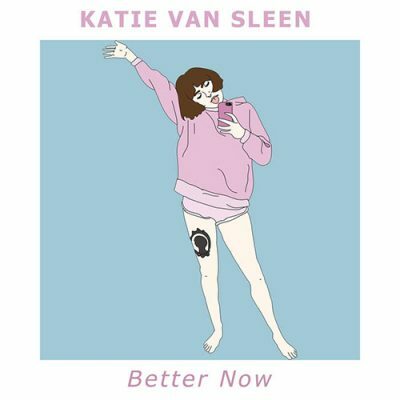 Better Now is Katie Van Sleen’s first solo recorded body of work, though it’s not accurate to think of Van Sleen as a late bloomer. They’ve been performing since their high school days, playing everywhere from Kilby Court and Diabolical Records to the Utah Arts Festival. SLC DIY music fans may also recognize Van Sleen as vocalist/guitarist in local pop-punk band Baby Pink. As they transition into owning their own musical space, Van Sleen stands ground with discerning, first-person accounts of both loving and loveless tales of punk adolescence.